Your Optometrist in Langley, Close to Surrey! Whether you’re looking to make the leap from glasses to contact lenses — or just looking for new frames to bring out your best facial features — your optometrist in Langley is here to help! Langley Optometry serves patients of all ages, helping them achieve optimal vision, and ensuring a lifetime of healthy eyes. We can also address more serious matters, such as glaucoma, cataracts, keratitis, and retinopathy (including diabetic retinopathy). Our doctors of optometry always take the time to answer your questions and provide well-informed advice. As a full-service optometry clinic, our optometrists are also available to help you explore your eye surgery options, such as the latest laser vision correction procedures. No matter what your vision and ocular health needs may be, you can count on friendly, attentive service whenever you visit our offices. We love working with patients of all ages. Our staff will make every attempt to make your experience as pleasant, relaxing, and rewarding as possible. Our clinic has proudly served the community since 1949. We have several experienced eye care specialists on staff to monitor the vision care needs of your entire family. With our experienced team, it’s safe to say that you can count on us to care for all your ocular health needs! Your eyes are your windows to the world. You want them to be in good health for many years to come. By visiting our clinic whenever you experience vision problems, or any kind of discomfort, we can uncover the issue and recommend a treatment. When left untreated, eye problems can continue to worsen. Therefore, it's important to schedule an appointment as soon as possible! We're conveniently located for Langley and Surrey residents to find an optometrist. We offer a wide range of optometric services for all of your family's needs. Along with our comprehensive eye exams, you can come to us for follow-up examinations after you have corrective eye surgery or any form of treatment for glaucoma, macular degeneration and dry-eye syndrome, among many others. If you're looking for eyewear and other products, our clinic carries a wide range of frames, spectacle lenses, contact lenses, non-prescription sunglasses, and prescription sunglasses. We'll help you find the right products at the right price. Taking care of your eyes is a top priority, and you should regularly visit your optometrists in Langley. Your eye health is extremely important and we'll work together to keep it in good condition. Whenever you have a change in your vision or are experiencing discomfort or any other eye problems, make sure you schedule an appointment right away! We take pride in being the office you can always count on for excellent service. From annual eye exams to the diagnosis of eye diseases and disorders, our knowledgeable optometrists and optometric assistants are here to help you. 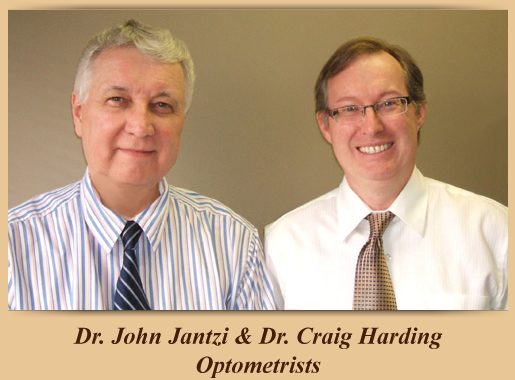 Call 604-534-4312 for professional service from Langley Optometry Clinic today.